Queenstown Lakes District Council is responsible for the upkeep of a wide range of things within Arrowtown, including environmental health, noise control, roads and walkways, street lighting, reserves and playgrounds, public toilets, water supply, wastewater and stormwater, rubbish collection, street trees, parking, pest control and animal control. If they don’t know about a problem they can’t do anything about it. 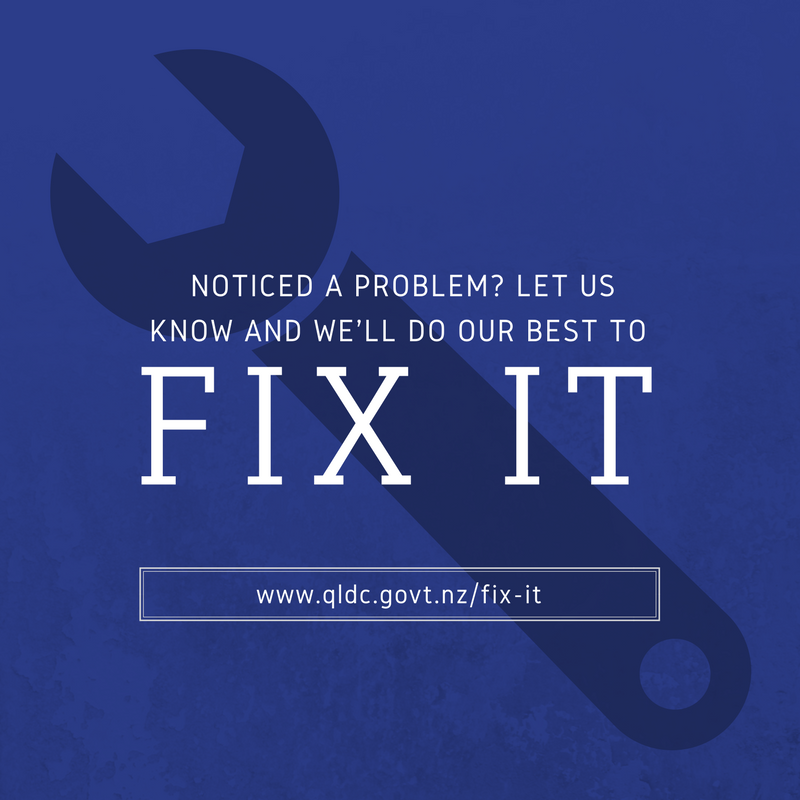 So if you spot something like an abandoned car, overhanging tree branches impeding use of a road or footpath, a blown street light, potholes in the road, or overflowing public rubbish bins, you’ll be doing us all a favour if you put in a request to QLDC to Fix It! If the problem needs urgent attention, such as stock on the road or pollution entering the Arrow River, call 03 441 0499.